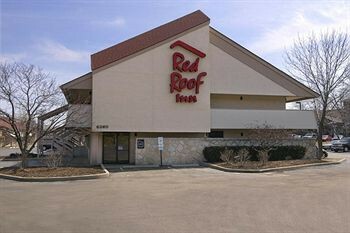 Property Location With a stay at Red Roof Inn Milwaukee Airport in Oak Creek (South Milwaukee), you&apos;ll be convenient to Mitchell Gallery of Flight. This motel is within the vicinity of Alverno College Pitman Theatre and Rock Snow Park.Rooms Make yourself at home in one of the 108 guestrooms. Cable programming and video-game consoles are provided for your entertainment, while complimentary wireless Internet access keeps you connected. Bathrooms with shower/tub combinations are provided. Conveniences include blackout drapes/curtains, as well as phones with free local calls.Business, Other Amenities Featured amenities include a 24-hour front desk and coffee/tea in the lobby. Free self parking is available onsite.